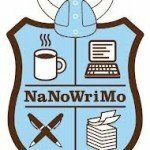 I participated in NaNoWriMo this past November. If you’re unfamiliar with NaNoWriMo, it stands for National Novel Writing Month and is an event held each November for writers and those aspiring to be writers. If you have ever wanted to write a book and you just haven’t been able to get started, I highly recommend you give it a try. I first learned of NaNoWriMo while checking Twitter on Thanksgiving of 2011. At that point, it was a little late for me to participate so I made it goal to participate in 2012. I’m really glad I did because it was a great experience. The goal of NaNoWriMo is to write a 50,000 word novel during the month of November. It’s free to participate and you get to part of a great support community of other writers out there to help motivate and inspire you to write as much as you can so you can attain this goal. The novel doesn’t have to be in its finished state, but ideally, it should be readable – meaning that you should be able to hand it to friends for feedback. I fell a bit short of the goal, but still ended up with a 27,000 word complete story. It’s not quite ready for prime time, but I achieved my primary goal of pulling together a variety of scenes and ideas into a structured story. Over the last few weeks, I’ve gone in and made edits and closed some gaps in the story. I don’t have a pressing need to complete this right away – I’ll get to it over the summer when my schedule allows – but it’s something I enjoy doing. The biggest lesson I learned from the experience – and it’s something that I can apply to practically everything I do – is how to move on when I’m stuck. When writing a story (or anything for that matter), it’s easy to get caught up with details and sometimes looking up a quick fact on Wikipedia can turn into an hour of web surfing. But even more frustrating is getting stuck on a scene and realizing that you have so many choices and each one can affect the rest of the story. In other cases, trying to explain how the characters get from point A to point B might require a lot of thought, but you don’t want to rush your creativity. In all of these situations, it can be beneficial to move on and get to the rest of the story. Sometimes, as you move further along in a story, your creativity kicks in and helps you solve an issue that you were struggling with in an earlier part. When I began this process, I realized that I tend to write sequentially. So if I got to a point where I’m stuck, I’d typically treat it like it’s a video game and can’t advance until I get past whatever obstacle I’m stuck at. Since NaNoWriMo was about completing the story, I learned to put placeholders in the areas I got stuck on and then just kept moving through the story. I’d simply write a sentence or two to explain what I wanted and then dealt with it on my next pass. For example, I might simply write that the characters made up when a couple pages of dialogue were needed. This certainly left me with more work down the line. However, it allowed me to reach the finish line with my first pass and get to other areas of the story that I was prepared to take from the visions in my mind and put them into my word processor (how’s that for an old school term?) before I forget them. From there, I could mull over the places that I got stuck and often, I would get ideas to help me deal with places that I was stuck. To use a real life example, a few weeks ago I started creating my goals for 2013 and breaking them down into an action plan. One of the items on my list was to resurrect my e-zine and use it as a way to share some of the material I’m creating for my new classes before it goes on this blog. 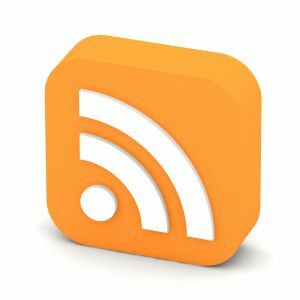 I felt like the e-zine needed a new format that was shorter and more to the point and got stuck on what I wanted the format to be. Normally, I would have spent time mulling over my options trying to find the perfect format. But at the same time, I had some ideas for blog posts and marketing materials so I shelved the e-zine format and moved on. Then when I finished everything else, I revisited my e-zine and decided on a format. I know we’re conditioned to think that all procrastination is bad, but this is one case where it’s okay. If you have time to deal with a decision, it might make sense to move forward and keep working rather than vacillate on something. You don’t want to do this with everything, especially with decisions that are urgent in nature, but sometimes a decision can wait when there are more (or equally) important decisions to be addressed.